This month has been nice and busy here at The National Reptile Zoo, as we make lots of preparations for our busy season ahead! 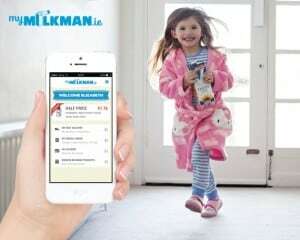 We’ve teamed up with some very cool business here in Ireland to bring you guys some great offers and although we can’t tell you about all of them just yet, we can definitely tell you about this one…..
We’ve teamed up with Glanbia and My Milkman to give their loyal customers a 2 for 1 deal on admission to The National Reptile Zoo! All you’ve got to do is sign up to their customer loyalty scheme and unlock the codes, easy! 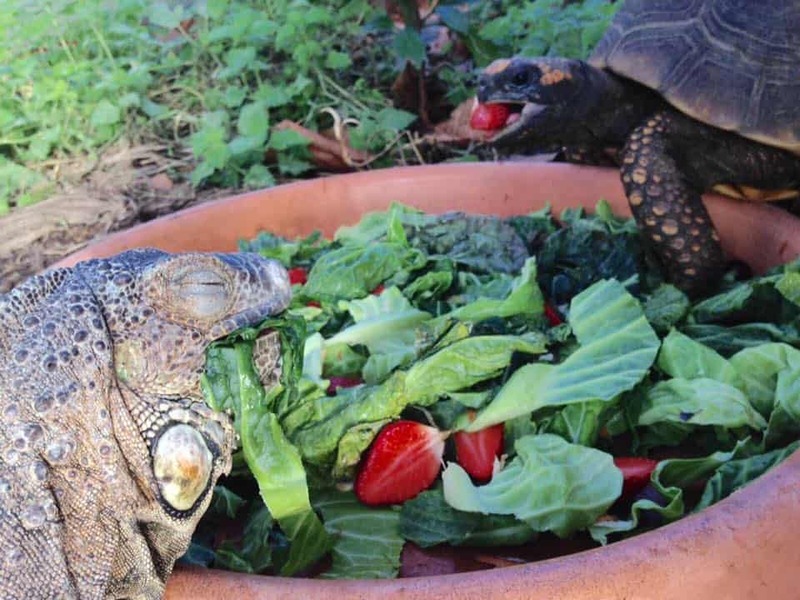 The January spotlight was on diet and our reptile residents eating habits! Our Keepers/Educators spent the entire month telling our visitors fun facts about what our animals eat, when they eat and demonstrating some feeding displays! 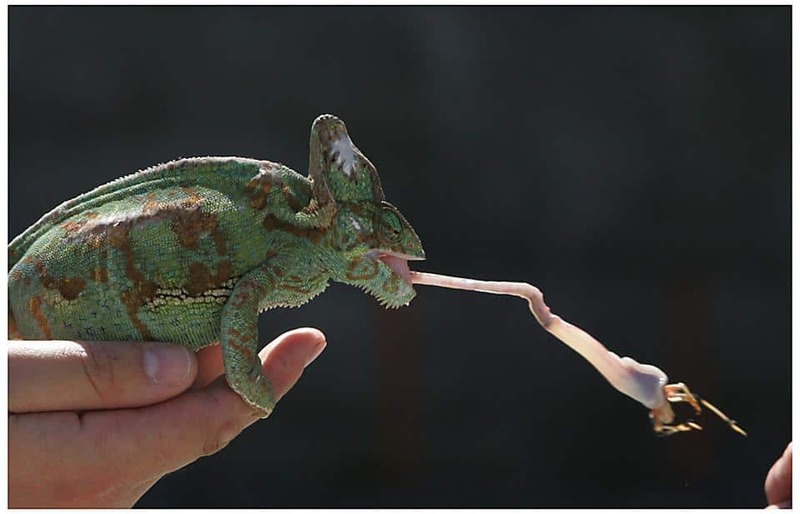 Did you know that a Chameleon uses it’s extra long tongue to catch its prey? Here at The National Reptile Zoo, we have a wide range of animals, each with specific dietary requirements! 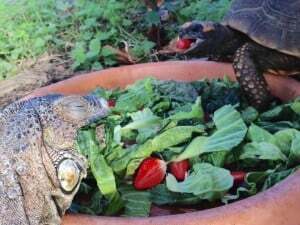 Our Tropical Walk-Through Dome residents get a leafy green and fruity meal, freshly prepared every morning by our Keepers! A herbivore is an animal that only feeds on plant matter! 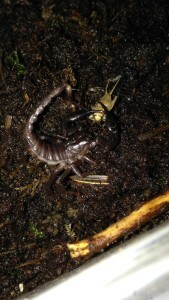 An insectivore only feeds on insects, worms and other invertibrates! An omnivore eats a variety of food including meat and plant matter! 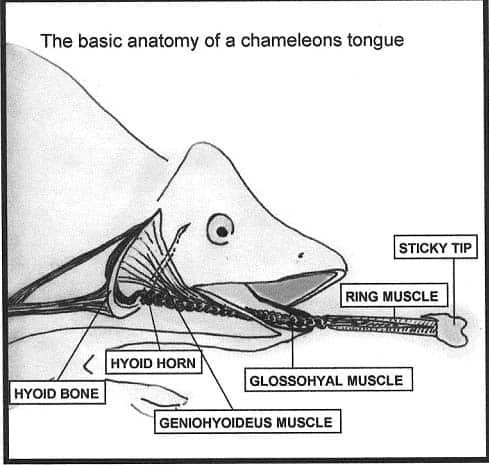 A carnivore feeds on other animals/meat! 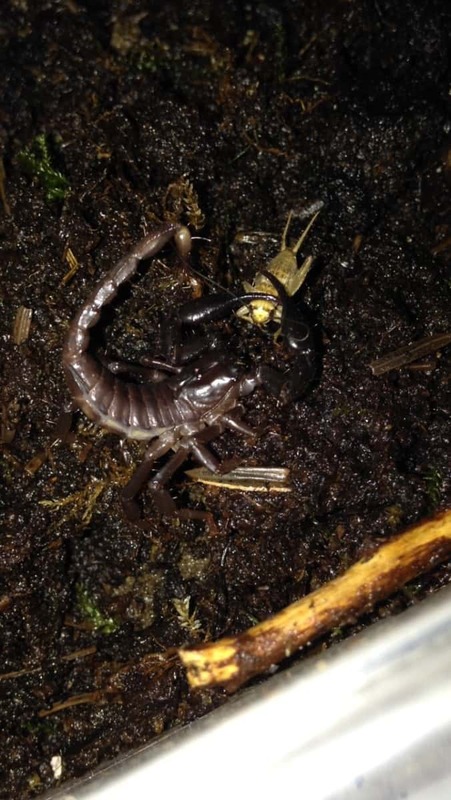 Scorpions use their stinger to ‘inject’ venom into their prey before they eat them, like our scorpion pictured above with a cricket! Sticking with our spotlight on feeding habits, check out this awesome cake, made by Laura (aged 6) and her mam, for her Radical Reptile Party here in The National Reptile Zoo! We’d like to take this opportunity to wish all the boys and girls that shared their birthday us this January a very happy birthday from all the team here! 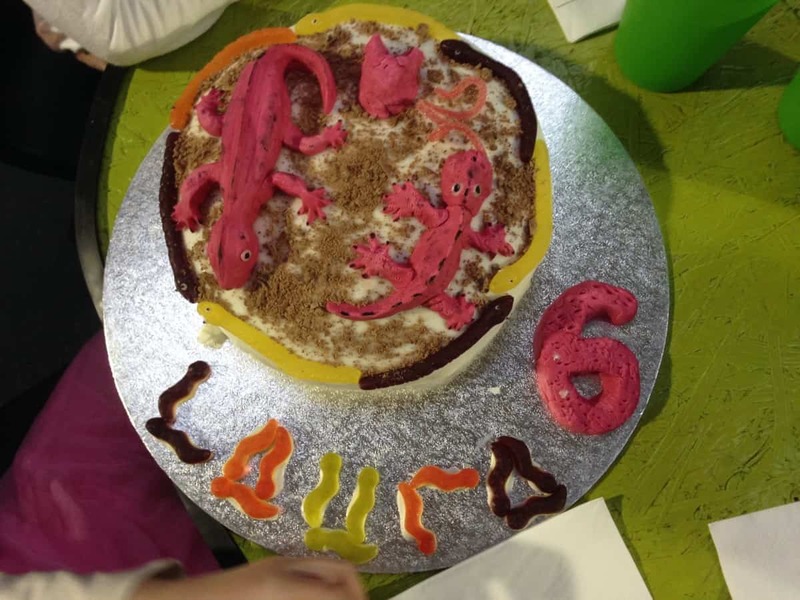 This month we were part of the birthday celebrations of Laura, Dylan , Kasey & Keegan, Lory and Orla! You guys might remember that three years ago, we were the first people to ever import crocs all the way from New Zealand? Well, now they are preparing for their journey to their new home in a zoo in Denmark. Before they head off, we have to take measurements of their weight, height and growth rate for our records and we’ve decided to let you guys go behind the scenes with us this Sunday, January 29th from 1.30pm! You can find out all the info you need right here. 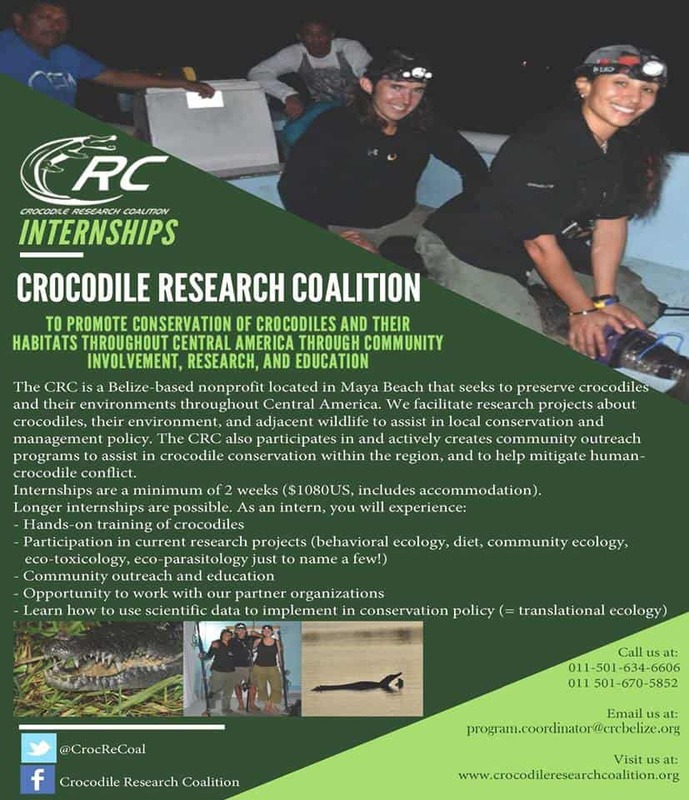 The CRC announced their internship information, so if you want to get involved in crocodile conservation, check out this poster or click here. Next month is jam packed with fun activities and lots of offers, competitions and more, so keep your eyes peeled on our social media accounts for deals, prizes and event information! We will be announcing our January colouring competition winner and our January Facebook ‘check-in’ winner on Tuesday, January 31st. Catch up with our blog next week, where we reveal our team’s MBTI personality types and allow you guys to get to know us a little better! ‹ Valentines Date Night Competition!